School days and the "Educators"
In the early 1800’s education for children living in and around Croxley Green was very limited and not compulsory. Schools then received no funding from the State and relied heavily on finances from the local gentry and the Church of England. The adequacy of these schools varied considerably from one part of the country to another. Children could receive a basic education at the Charity School in Rickmansworth that had originally been the workhouse. During the mid 1800’s a grant was given for an improved school building for Rickmansworth. A basic education in Croxley Green could also be had with Granny Blackwell who taught at Smokey Hall on Scots Hill. This was known as a ‘Dame’ school and was run by a local lady who was unqualified in teaching and was virtually a ‘child minder’ being paid a small amount. Children in return were taught simple ‘reading and writing’ whilst they also learned the art of straw plaiting, a skill which could be used to help supplement the family income. Straw plaiting developed into a cottage industry as straw hats became most fashionable. Lengths of straw of approximately 9”, either left whole or split, were dampened and plaited with additional straw woven in, to form long lengths. These plaits were held in place by a ‘mill’ usually attached to a door. Girls began at an early age either taught by their mother or at a plait school from 3 or 4 years of age. Such hats were priced according to the intricacy or otherwise of their finish. In the 19th century, Luton was the centre of straw hat making in this area. Its close proximity gave Croxley Green the advantage of easy access to a growing market as the Hertfordshire straw was considered to be of good quality and very pliable for plaiting. The hat industry was a seasonal trade and the craft of straw plaiting took over many family lives. This work was also ideal for home production. Several cottages might share a plait mill which would typically be screwed /attached to a scullery door. No qualifications were required to open a Plaiting School. The results of their toiling would be seen at least once a year when a visit from the suppliers gave the families the opportunity to purchase a new straw hat to which they could add their own embellishments if necessary. A representative would arrive with a large case or basket and travel from house to house for the households to make their selections. Straw hats were very popular with mothers and daughters, as well as fathers and sons who wore a boater particularly on special occasions. Another ‘school’ was run by Elias Stranger who lived on The Green. Early in her reign, Queen Victoria encouraged the importance of young children having the opportunity for an education. This followed the foundation of the National Society for Promoting Religious Education in 1811 which promoted education for the poor in the ‘Principals of the Established Church throughout England and Wales’. Victoria supported the passing of an Act of Parliament ‘An Act to afford further facilities for the conveyance and endowment of sites for schools’. It was not until 1870 when the Elementary Education Act was passed that the State had a direct duty, together with local bodies, to secure and provide school accommodation. The initial steps undertaken were to determine how many schools were required, so a questionnaire was sent to every parish in England and Wales and inspectors were sent to survey all the existing buildings. The results were sent to the Education Department at Whitehall, London. In Hertfordshire only 78 out of 175 parishes could provide the required number of school places, but this was apparently above the national average. 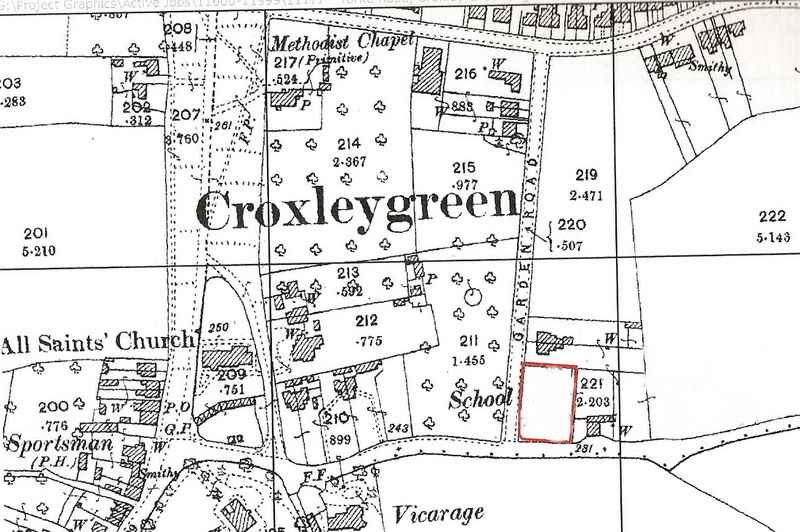 By 1872 locations had been identified that either required school premises being updated, or, in the case of a village such as Croxley Green, their own school. Notice of this and other schools in the Watford area was posted in the Watford Observer in June 1872. However, as Croxley Green had only recently acquired its own parish church, consecrated in1872, it was deemed appropriate for the initial administration of a new school to be overseen by the vicar of St Mary’s Church in Rickmansworth. The trustees were the Rev. Alleyne Higgs Barker of St Mary’s, (Committee Chairman), with churchwardens as well as Rev. Astley Roberts, the new vicar of All Saints Church. Following the approval of the application in 1873, land was acquired from Mr. W A. Peddle, a carpenter of Mill End, Rickmansworth, for approx £81, on a corner plot of Garden Road and the Watford Road. (Garden Road was later renamed Yorke Road after Charles Yorke, resident of Croxley Green, who was Chairman of Rickmansworth District Council between 1899 and1903.) 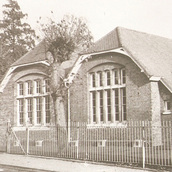 Building plans show that the new school had two classrooms and an attached schoolhouse, facing the Watford Road, for the School Mistress. The total cost of the land, school, teacher’s residence, basic fittings and architect’s expenses was less than £1000. It was the trustees’ decision to manage the school as a Church school in line with other schools in the Rickmansworth District and Civil Parish and in union with the National Society. They chose to place the school under the church charity commissioners. The alternative would have been to be directly responsible to the State Education Board in all things. It was under these circumstances that the school was built from local funds. In addition, the design did not conform to the London School Board’s architect E R Robson’s standard plan and they decided to opt for one that would accommodate any additional extensions, should they arise. All schools were issued with a number and Croxley Green School was number 154. 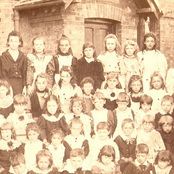 On Monday 4th January 1875 the school opened to accommodate 71 children aged from 5 to13 years. Miss Harriette Lawrence was appointed Headmistress. However, the school still had to adhere to the state education syllabus and was visited at least once a year by His/Her Majesty’s Schools’ Inspector who would send a written report to the Education Department at Whitehall in London. There were times when the church involvement became very problematic, such as when large sums of money were required for extensions or school equipment. Applications had to be made directly by letter to the National Society and the process was often long drawn out even for basic school equipment. On many occasions much of the money required had to be found by voluntary public subscription from local residents pledging such sums as they could afford. By 1884/5, the school was enlarged with another classroom because of overcrowding, as recommended by the Schools’ Inspector’s report, which also threatened the withholding of the state grant if this were not remedied. 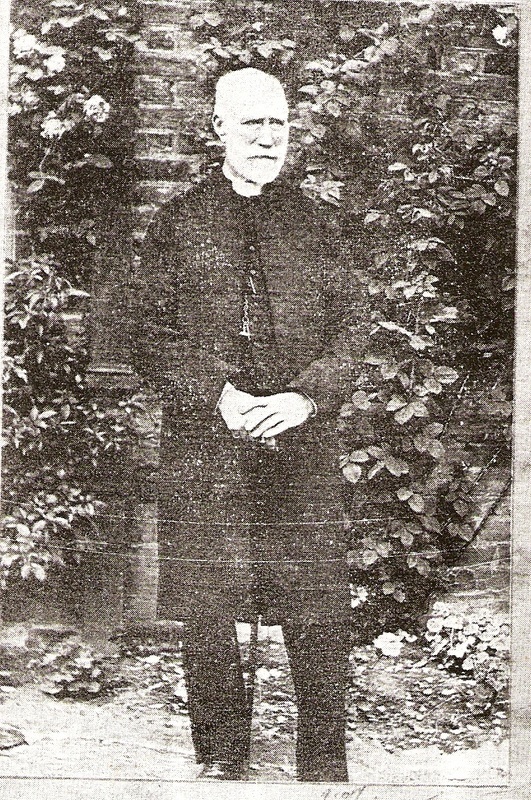 In 1886, Rev Astley Roberts made a request to the National Society, as recommended by the School Managers, to have the Trust of the school officially transferred from Rickmansworth to the All Saints Vicar and Churchwardens and this was duly applied for to the charity commissioners and approved by 1888. 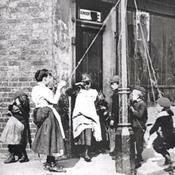 By this time, Rev Astley Roberts was concerned that a new infants’ room was required for 130 children and that an emergency situation could arise, unless financial assistance from the National Society was provided to support the voluntary funds already achieved. It would appear that had Croxley Green village not been able to go ahead with these plans ordered by the Education Department, the school could have been taken over by the State and consequently all the District schools would also have been jeopardised and transferred to the State. The new infants’ classroom was completed by 1889 and the pupils were put in the charge of a separate Headmistress, Miss Ellen Martha Walter, whilst Miss Aricie Clarke continued as Headmistress for the older girls and boys. As the village developed and attracted more residents to settle locally, it became clear that the school could not accommodate all the additional children requiring an education. This was largely due to John Dickinson’s mill expanding at a rapid rate and the need for a greater workforce at the mill. 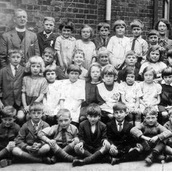 Older girls and boys attended the shared school site until it was agreed to restructure and build a school for the older boys nearby in the Watford Road and this opened in October 1894. The decision to continue teaching children up to seven years old in mixed classes as well as accommodating the older girls in the old school appeared to solve the crisis. The building of a school for older boys was also another opportunity to add more classrooms to the first school. Mr. Alfred Walter Stratton-Hanes was appointed Headmaster for the boys’ school and Miss Aricie Clarke now had sole responsibility as Headmistress for the older girls whilst Miss Emily Haigh was the infants’ Headmistress. During this unsettling period in the development of the schools there were many changes to the headship of the infants’ school. Although the log books regularly state that the schools were happy places of learning it became necessary for the school managers to pass a resolution that no corporal punishment was to be administered except in exceptional circumstances. It was around this time too that the children were photographed in their classes and that Class 1 was provided with lead pencils and paper for drawing lessons. As resources were restricted in the early days of national education, this type of equipment was often substituted with a wooden framed piece of slate and chalk to record lessons. The task completed, the child would use a piece of rag to clean his or her slate in readiness for the next task. We might assume that, having a paper mill in the vicinity, and once pencils were available, John Dickinson would perhaps supply a quantity of paper! The school children were soon introduced to many craft skills, again recorded in the log book. From an early age, both boys and girls were taught to knit and create useful needlework items as well as basketwork. Traditionally, great national events were celebrated by the villagers en masse and this included the schools which were very patriotic and observed many of the country’s important celebrations. The school children happily took part, dressed in spectacular costumes and accompanying carnival-type floats whilst the procession paraded around the village. Royal weddings were celebrated by way of a day off with a special tea and sports activities arranged by Mrs. Woolrych of Croxley House. When Mr. & Mrs. Woolrych celebrated their own Silver Wedding anniversary on Monday June 19th in 1895, the school children were given a bumper treat and this included ‘a bountiful tea and merry-go-rounds and swings’ in the grounds of Croxley House. In June 1897, the schools were shut for one week to celebrate Queen Victoria’s Diamond Jubilee. Teacher Training colleges were on the increase as the number of schools was steadily rising and in the 1900’s the average teacher was paid approx £85 per annum and signed an Employment Agreement. As the schools were mainly managed by the Church, it was also responsible for providing teacher training and job opportunities. Gradually, alternative colleges became available and Great Gaddesdon, Ashridge and Wall Hall colleges were local training establishments. For a number of years, as Britain expanded her Empire during the reign of Queen Victoria, the Government had considered celebrating this achievement by putting aside a day for a public holiday. It wasn’t until after the death of Queen Victoria in January 1901 that these proposals came to fruition. It was eventually agreed that Empire Day would be celebrated on the late Queen Victoria’s birthday, 24th May 1902. 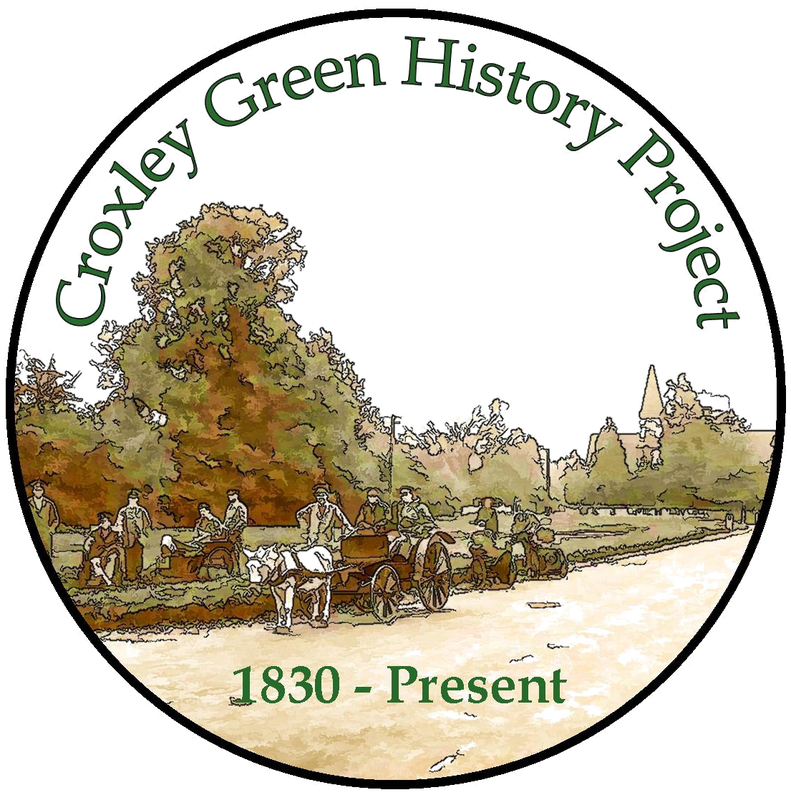 Although this was not necessarily taken up as an event across the country, records do show that just a few years later school children in Croxley Green were given a half day holiday. This celebration soon expanded and the school children marched up to The Green, some dressed in national costumes with flags representing the countries of the Empire. Swimming baths (open air! ) opened in Ebury Road, Rickmansworth in the summer of 1909 and children from the elementary schools were to be admitted free of charge for the opportunity to learn to swim. The schools celebrated Christmas time and the children would receive cards from their teacher and also exchange cards (handmade) and sing songs, play games etc. The yearly event of Prize Day was celebrated and prizes distributed by one of the mill managers. Following the building of the Institute in New Road, many Christmas activities such as pantomimes were held there, enabling a wider audience to enjoy the festivities. Royalty would sometimes travel through the area and if there was prior knowledge of this, the children were assembled in the Watford Road to wave flags as they passed by. Sometimes a Menagerie (circus) would be in the Rickmansworth area and the children were given an opportunity to visit the animals. Following the outbreak of World War I in 1914, the working day was somewhat shortened due to the necessity to save on coal and gas, especially during cold periods when supplies were becoming short. 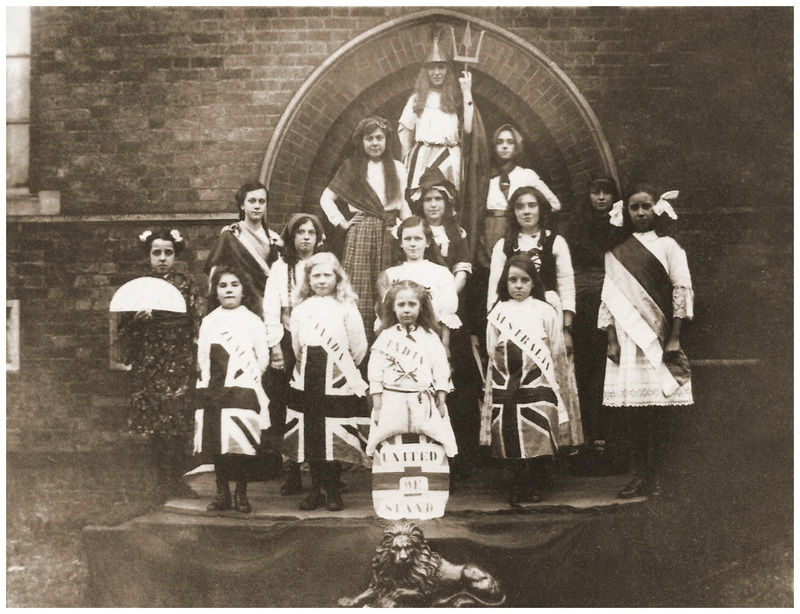 When peace was declared in 1918 the church bells rang out, flags were distributed and all the children marched to the outside of All Saints Church and sang ‘God save the King’, visited the Voluntary Aid (VAD) hospital at the Institute and marched all around the village. The following year, when the village organised a series of peace celebrations, the schools played a significant role. 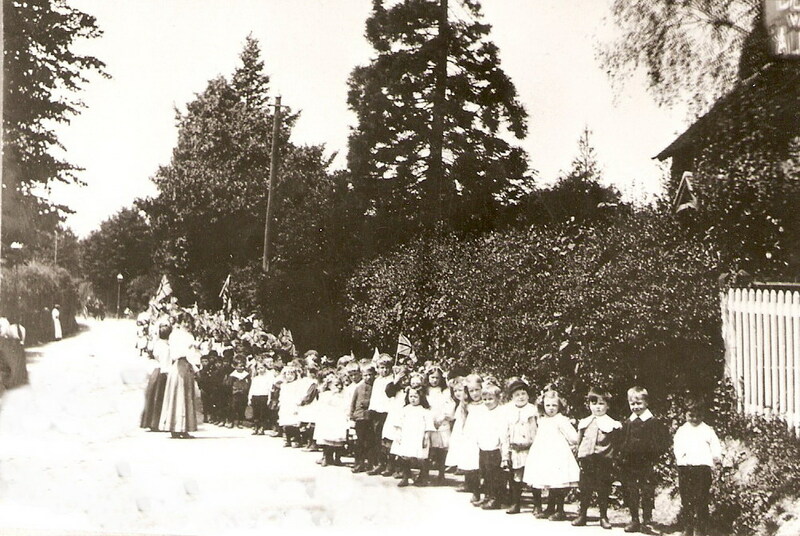 The boys carried flags and the girls wore the national costumes of many world countries as they paraded to The Green. 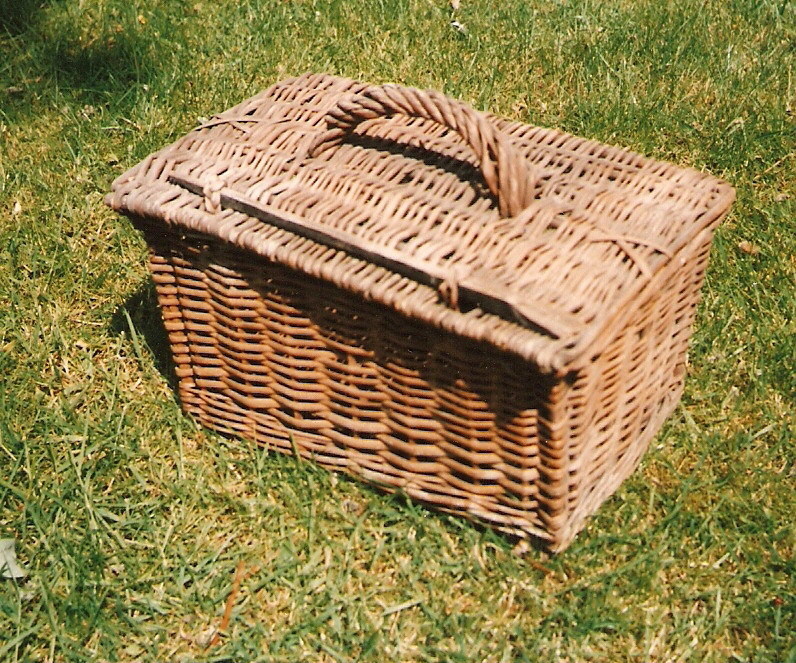 Children were often expected to return home during their lunch break to collect their father’s lunch basket, deliver it to the John Dickinson mill and leave it at the ‘Time Office’ where father would collect it. State Education Acts were continually being updated and their recommendations required that schools act upon them. A much enjoyed bottle of milk was available for the mid morning play time: approximately one third of a pint in a glass bottle sealed with a cardboard top. These bottles and paper straws were handed out by a class monitor. The Church continued to monitor the school education and the vicar made regular visits, tested the children and inspected their work. Knowledge of the Bible was considered particularly important. The Diocesan School’s Inspector from St Albans came to visit as a regular event. These visits were faithfully recorded in the school logbooks together with relevant comments as were the Education Inspector’s reports. The school continued to be run as three separate departments as this seemed to be the best solution for the growing number of children in an ever expanding village. The church hall opened in 1934, replacing the Berean cottages near the church, and provided temporary additional space for school activities as did the John Dickinson sports ground for the annual sports day. With the Metropolitan Railway now established in Croxley Green and Watford Park stations, much farmland was purchased for the construction of new housing estates. The south side of Croxley Green was one of these new developments, known then as The Nuttfield Estate. This led to new families requiring school places at the infant and junior levels as well as senior places. The two original schools, Yorke Road and Watford Road Boys’ were now heavily overcrowded as the growth of house building had escalated so fast. It was also a serious financial burden for the diocese to meet the expense of the upkeep of the original schools, that now required a great deal of maintenance as they were ‘outdated’ and in need of modernisation. Yorke Road School was sold to Hertfordshire County Education Department whereas Watford Road Boys’ was leased from the St Albans Diocesan by the County. 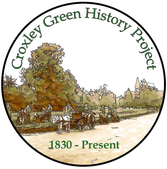 After almost 60 years of continuous independent education and through many traumatic situations, the education of Croxley Green children was now transferred to the responsibility of the Hertfordshire County Council (HCC) from the start of term on 1st September 1938. The County Education Department had been aware for several years that changes were inevitable in Croxley Green and had investigated their concerns on various occasions. Now that the current situation was critical, they concluded that additional modern school premises were urgently required. They identified land on the new Nuttfield Estate, Frankland Road /Close, Harvey Road and Bateman Close, and considered Harvey Road to be the most central site for a new school. Almost nine acres were purchased from Gonville and Caius College and the school when erected was initially intended to accommodate 200 children in a Junior Mixed School for children from 7 to 11 years. In 1938, seven ‘temporary’ wooden classrooms were built on the site. It was also decided that a mixed senior school was required and more land was purchased from the Durrants Estate. At the same time these schools would eventually shift away from the old system to the introduction of mixed junior and senior schools and these were due to be completed in 1938/39. The Infant School Log Book records in April 1938 that one hundred and fifty children were accommodated in cramped conditions, rising to two hundred and sixteen in January 1939 and extra teaching staff had to be engaged to cope with the situation. Whilst the girls and boys of secondary school age were awaiting the completion of the new Durrants Secondary Modern School, expected in April 1939, school accommodation was shared between Harvey Road School and the Old Boys School (three classes) and The Guildhall (two classes). Once the older children began at Durrants School, Harvey Road became a mixed junior school taking the remaining pupils, aged 7-11, from both the older Girls’ Dept and Old Boys school. This left Yorke Road School to manage the infants in the newly vacated classrooms. In September 1939 Britain was committed to fighting the war against Germany and, although it had appeared that the arrangements for the schools had been settled, Croxley Green was now targeted to receive hundreds of young children evacuated from London. The schools once again came under severe strain. The evacuees arrived from the church school of All Soul’s Langham Place as well as from two other schools assigned to Croxley Green. The situation became such that, with so many children in the village, every available hall was also utilised/requisitioned for educational purposes. After the Second World War the country began returning to normal. Harvey Road became an Infant/Junior Mixed School and further new schools were to follow: Malvern Way Infant School, Little Green Junior School in 1949 and Rickmansworth Grammar School in 1954. Changes in the County Education Department required that the senior schools were restructured and Durrants School was closed in July 1991. The land was sold and a housing estate was built. This situation has come full circle and Croxley Green now requires a second senior school.